I love launching a new collection and this winter range is definitely my favourite. 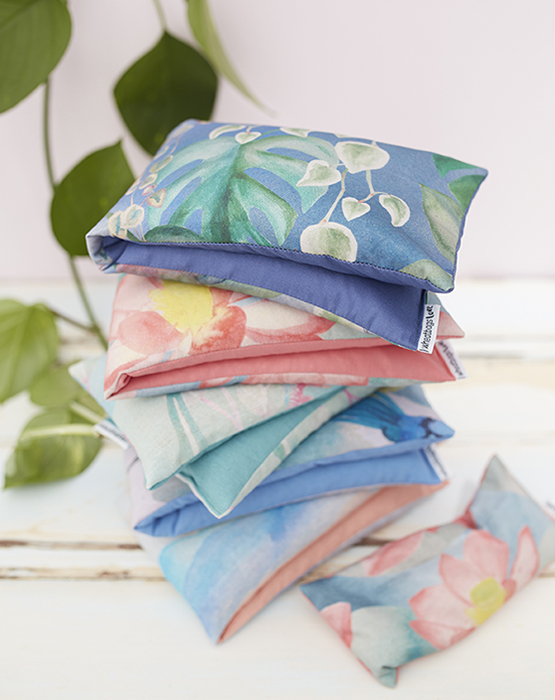 Drawing on my experiences of working and living in Byron Bay last year, this collection reflects the beauty and colour of the area. Growing outside of my little cottage in the rainforest was a giant monstera deliciosa which you can see the leaves of in the Jungle print. I just wish I had been there longer to harvest the fruit! You can also see the leaves of my Devil’s Ivy and Chain of Hearts, my two favourite house plants. I was lucky enough to have a beautiful little family of fairy wrens that would visit the bird bath outside the back door. They were such a delight to watch and you can see the gorgeous blue and pruple male birds on the Birds print. 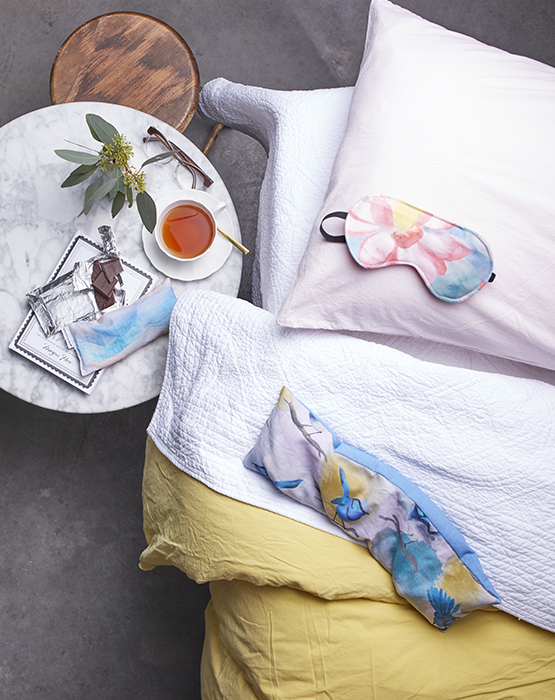 There’s wheatbags, eyepillows and eyemasks in this range. We’ll also have new Mother’s Day gift packs coming soon as well. 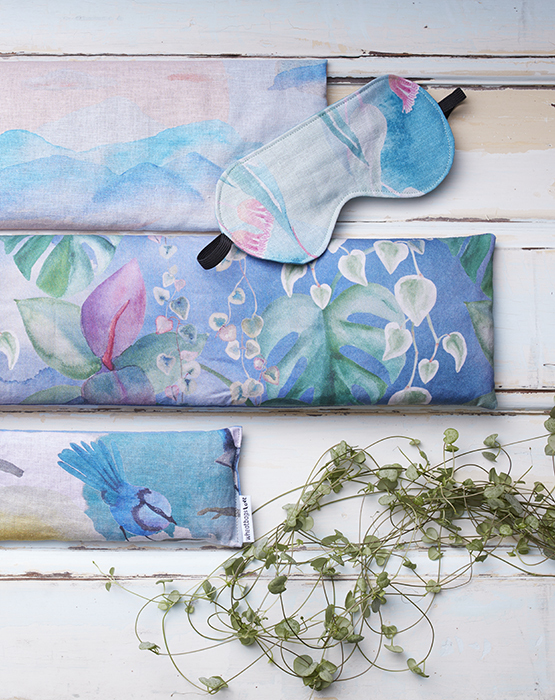 The second fabric range is the new Art range, also available in wheatbags, eyepillows and eyemasks. 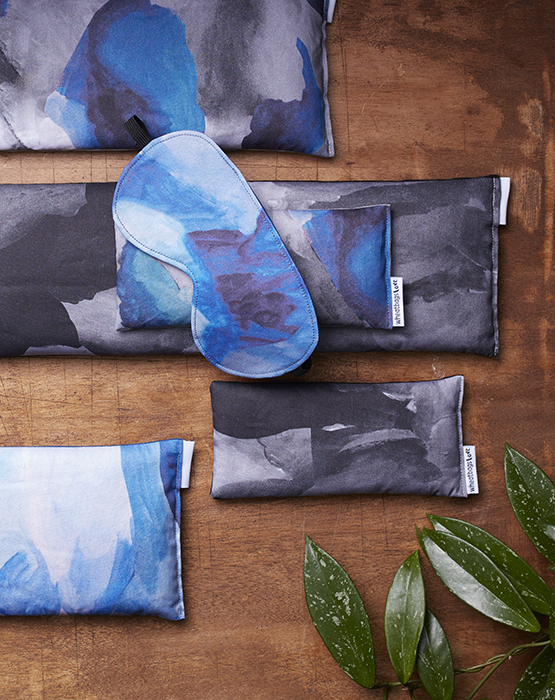 This fabric range was based on the paintings I was doing last year in the cottage up in the hinterland near Bangalow. 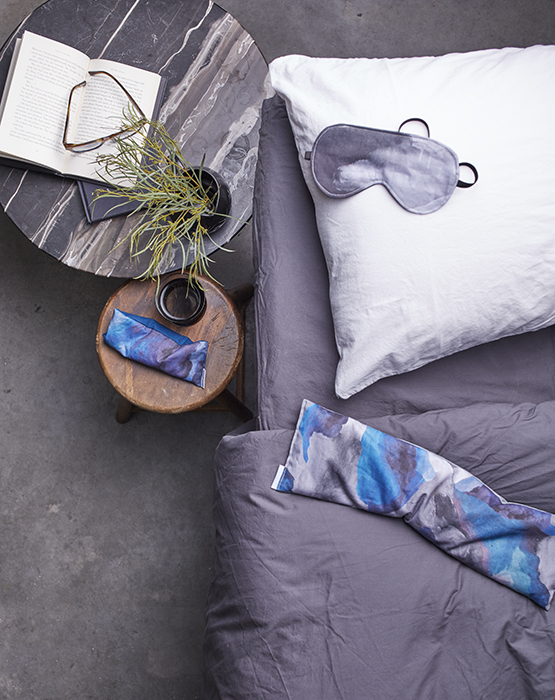 There’s 3 different colours to choose from – Black, Blue and Grey. 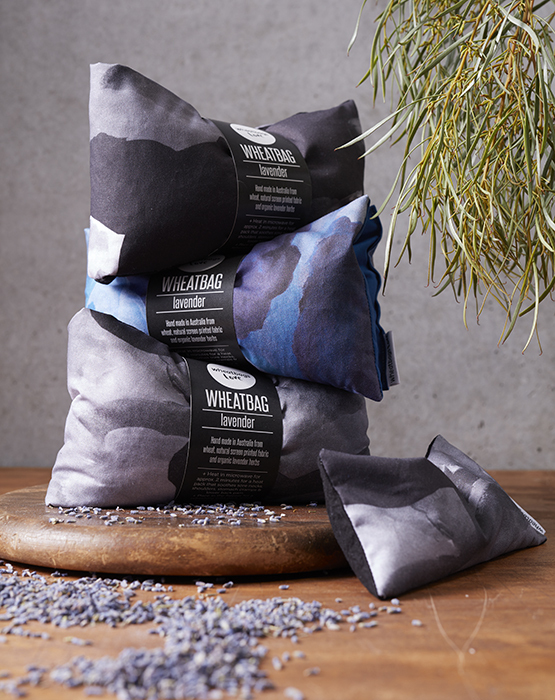 Perfect for men too, who might like their wheatbags a little more monochrome.